Just earlier this week, we announced that we’d acquired a Clash of Clans pro team, a historic first in the game’s long competitive history. We’re pleased to say that our team’s already made a splash in the competitive scene, as the first team to qualify for the first-ever Clash of Clans World Championship! Our squad of decorated veterans battled and three-starred their way through pre-qualifiers among thousands of the best Clash of Clans players in the world, to earn their spot at the March Katowice Offline Qualifiers for a shot at the $1 million prize pool. From there, they traveled to Katowice, Poland to compete against seven other top teams and cemented their spot in the semifinals after a cutthroat group stage. After an incredible last-second 3-star from our captain, Itzu, against blaze.JP, we were off to the playoff finals, against DK 2nd Brigade, where we defeated them in a well-fought best of three series! 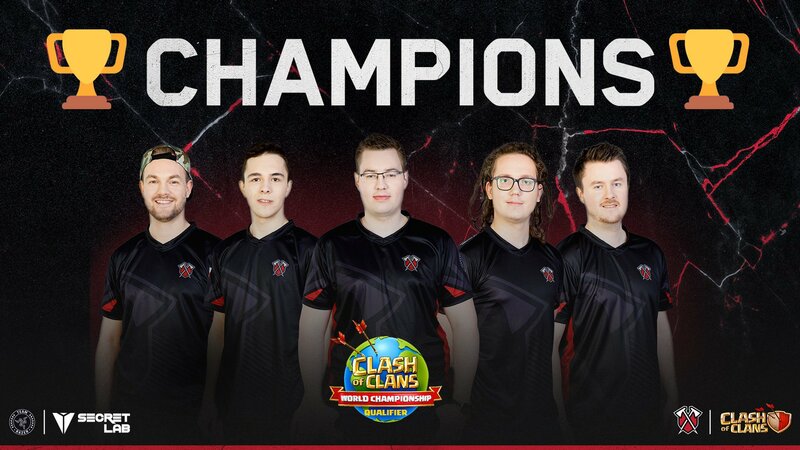 We’re hyped the first team to punch our ticket to the ESL One World Finals, and we can’t wait to see the competition unfold at the Clash of Clans World Champions in October, where the eight best teams in the world will be competing for guts and glory. We’ve already made history, and we don’t plan on stopping! To follow #TRIBECOC’s path to the World Finals, follow us on social media!